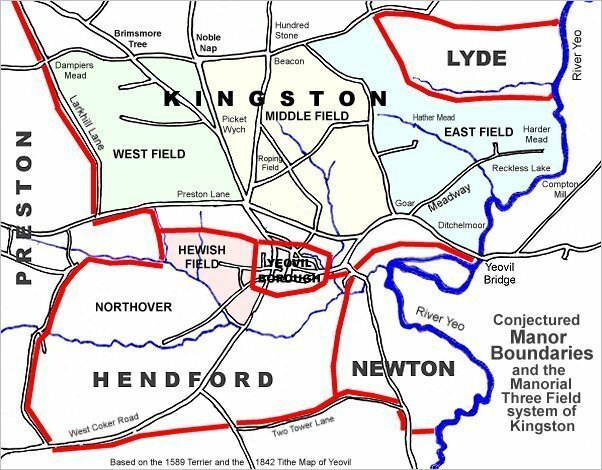 In 1842 Yeovil had ten fields called Long Close but the field under discussion here was originally part of the great Medieval open Middle Field of Kingston Manor, in the Milford / New Town area. By 1842 Long Close had been split into two fields and given the parcel numbers 1006 and 997. 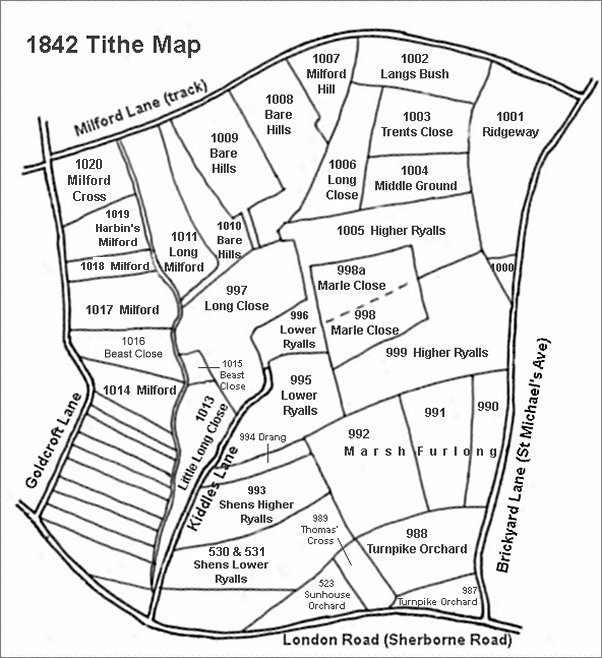 The 1846 Tithe Apportionment noted that both fields were pasture; p997 was owned and occupied by Samuel Isaac and parcel 1006 was owned by Mary Marshall and occupied by Charles Parson. 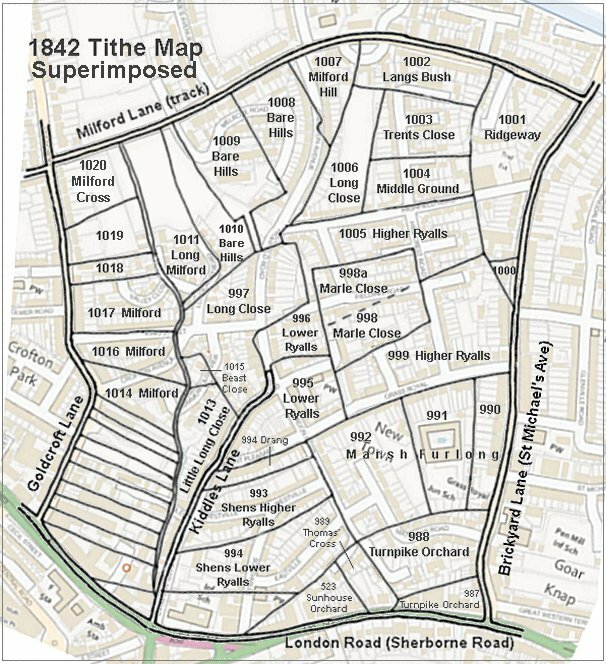 Completely enclosed by other fields, the northern part of Long Close (1006) was bounded on the north by Langs Bush (1002), by Trents Close (1003) and Middle Ground (1004) to the east, by Higher Ryalls (1005) to the south and Bare Hills (1008) and Milford Hill (1007) to the west. Today this former field is still partially open, sandwiched between the rear gardens of Chelston Avenue to the west and Hillcrest Road to the east, and is still used as allotments which has been the case since the Second World War. The southern part of Long Close (997), again surrounded by other fields, was separated from the northern part by a short extension of Higher Ryalls (1005) that acted as a connection between itself, the two parts of Long Close and Bare Hills. It was bounded by Bare Hills (1008, 1009 and 1010) to the north, Higher and Lower Ryalls to the east and southeast, Little Long Close (1013) and Beast Close (1015) to the southwest and Milford Stream to the west. 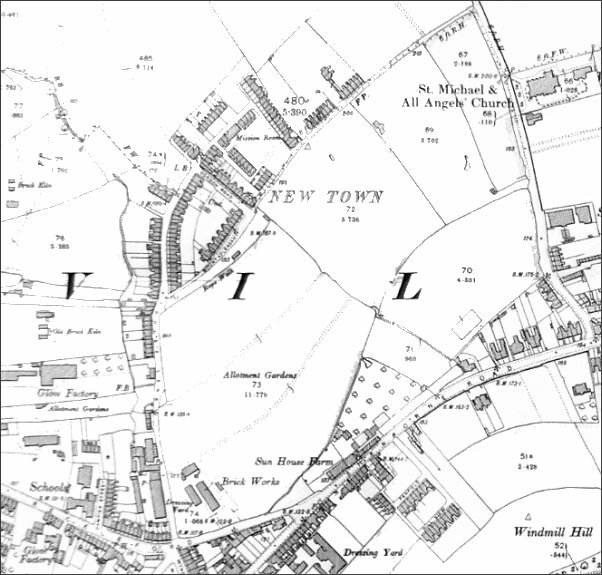 Today this lower part of Long Close is completely built over with the southern part of Highfield Road and the northern part of Gordon Road, the eastern end of King Street, the northern part of Summerhouse View and the northwest part of Eastland Road.